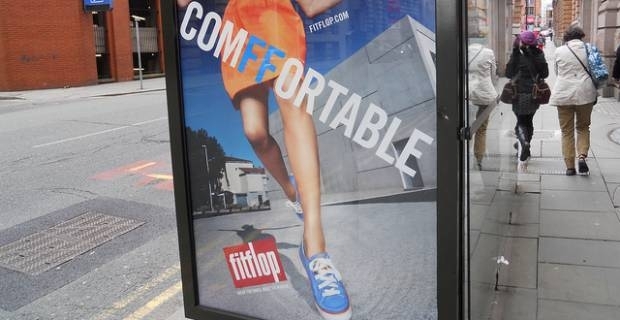 The Fit Flop is marketed as a practical fitness shoe for people who are too busy to go to the gym. Wearers can tone their thighs and calf muscles through walking because of the shoe’s patented triple-density mid sole. But how comfortable are these shoes and do they really work to tone the thighs and calves? The most distinctive part of any Fit Flop shoe is the raised platform. Within this is the technology that exercises the wearer’s muscles. The patented 'microwobbleboard' technology works by destabilising the foot. Wearers report they take a while to get used to but as the deep platform also contains soft cushioning within its multi-layered mid sole, users have also reported that the shoes remain comfortable even if worn for 8 hours a day. The reports from wearers are almost universally positive, but some have reported knee and ankle pains after prolonged use. The technology under your foot is surprisingly simple. The foam rubber soles are made with three different densities. The heel is high density which absorbs the forces produced when walking. The low density middle section causes the instability that, although barely perceptible, works the wearer’s muscles. To balance the shoe, the toe section is made with a foam rubber whose density is somewhere between the other two sections. These ergonomically designed shoes, which were designed to mimic a barefoot gait, are available in a wide range of styles and colours, so they can be worn at work, on the beach or around town. A collection of men’s, women’s and kid’s shoes are available. Perhaps the only real sticking point with the Fit Flop is the price. Unless you buy some in a sale, you won’t get much change from £80, no matter what style. This is more than you would expect to pay for the equivalent ‘tone up’ shoes from brands like Skechers and Reebok.